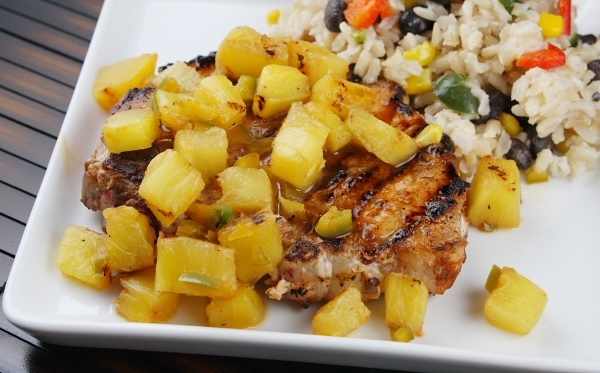 This is one of the best pork chop recipes I’ve ever made: Chili Rubbed Pork Chops with Grilled Pineapple Salsa. 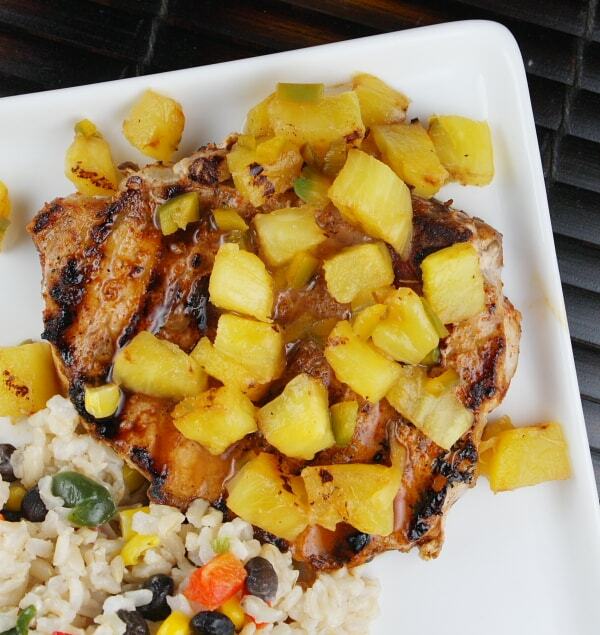 The Pork Board sent me some pork chops, along with a kit that included everything I needed to make this delicious recipe for Chili Rubbed Pork Chops with Grilled Pineapple Salsa. I was pretty curious about the whole thing, since I pretty much kill every pork chop that I try to make. They assured me this wouldn’t happen. Here’s what you start with. Simple. 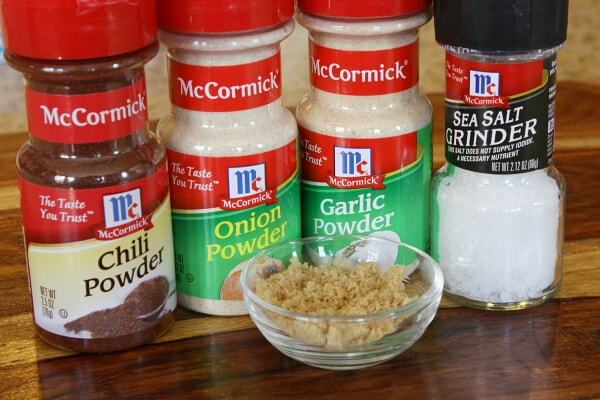 Just mix up the spices and you’ve got the rub for your chops. … while you grill the fresh pineapple and jalapenos. Once these have some nice grill marks on them, you’re going to chop them up and mix with a little bit of lime juice and salt to create a simple, grilled pineapple salsa. Grill the chops on your stovetop grill (or outdoors, if you’re ready for that!) 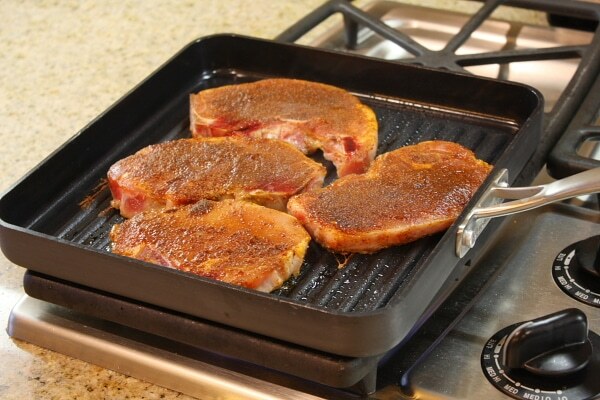 I loved this indoor grill- the nonstick surface made it a snap to clean. 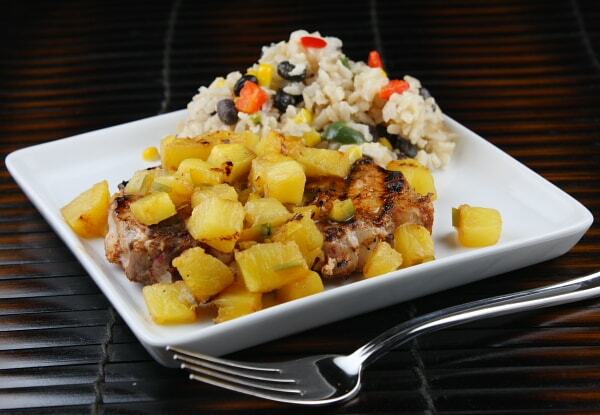 And there it is… the grilled pork chop topped with grilled pineapple salsa! My family nearly applauded when they tasted these for the first time. The pork is tender as can be. Finally… this is one recipe where I don’t kill the pork chops. And that grilled pineapple salsa you see on top is pretty wonderful too. 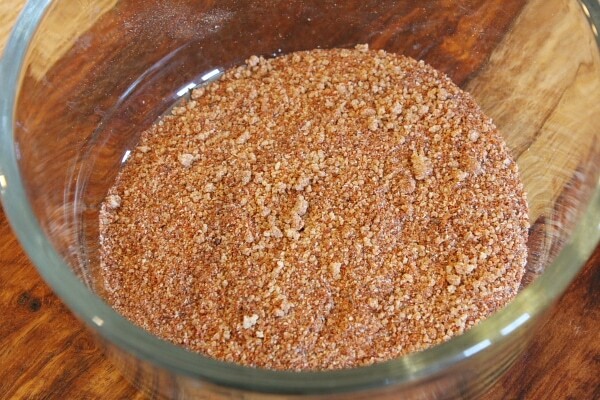 In a shallow bowl, combine chili powder, brown sugar, garlic powder, onion powder and salt. 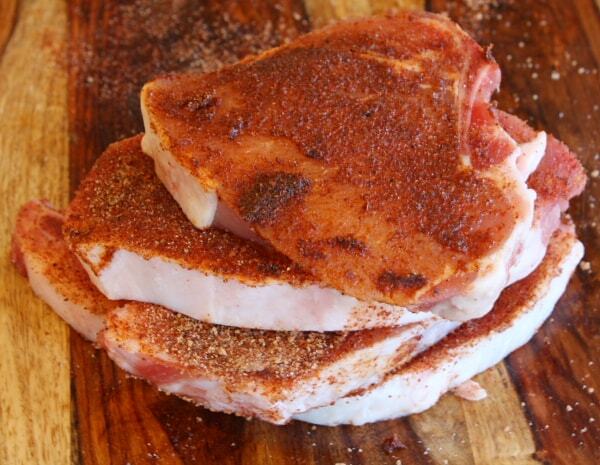 Sprinkle both sides of the chops with the spice mixture. Let the chops sit at room temperature while you prepare the salsa. Prepare a grill to medium-high hat and lightly oil the grate. 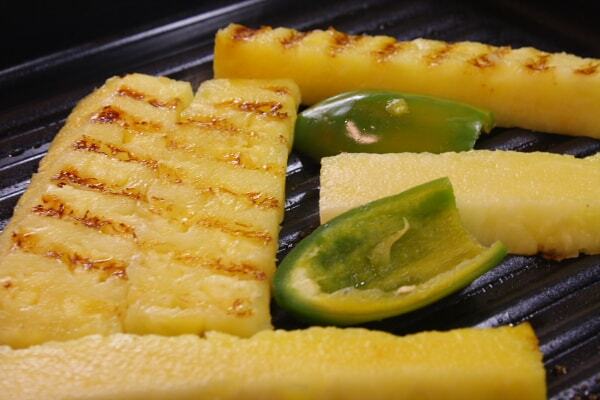 Grill pineapple and jalapeno until lightly charred (2 to 3 minutes per side). Remove from the grill and dice pineapple and jalapeno. In a medium bowl, combine pineapple, jalapeno and lime juice. Season to taste with salt. Grill pork until internal temperature reaches between 145 and 160 degrees F (4 to 5 minutes per side). Serve chops with the grilled salsa on top.